My card today features the components of the card kit. 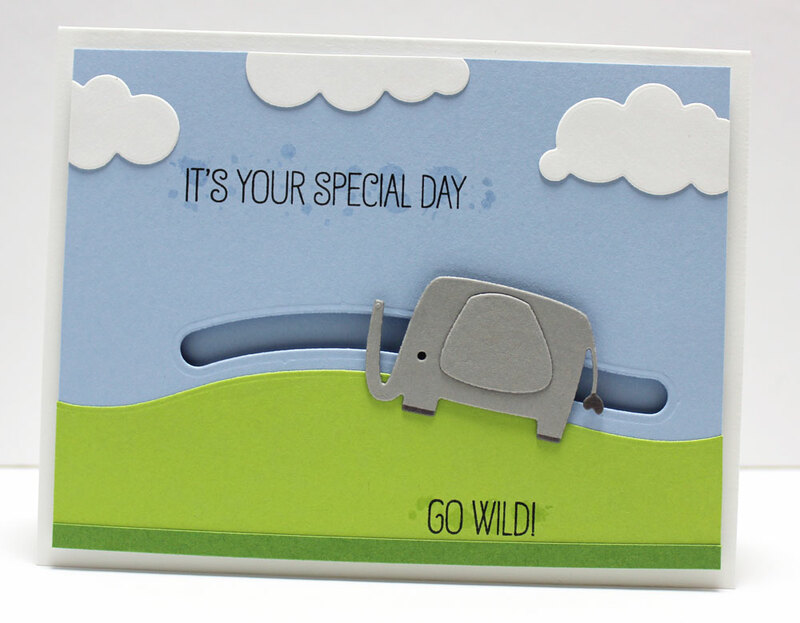 This interactive card uses the smaller of the 2 elephants running along the hill. You'll notice that the slider channels mimics the slope of the hill (I love that detail). I kept the design pretty simple and focused on the interactive aspect of this fun card. 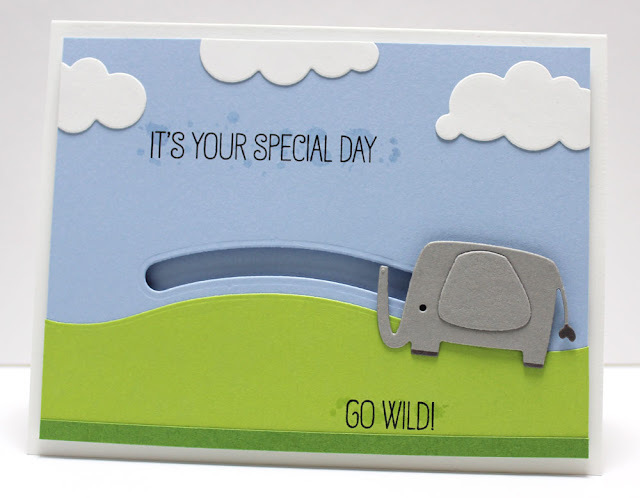 Be sure to head back over to the MFT Blog to see what the rest of the team has come up with using the Jungle Friends Card Kit! I hadn't noticed that the slope of the slider and hill matched. Cool! Cute card! Cool that the slider and the hill match!!! That could be so useful, not just for this kit but for so many other stamps and dies!!! My mind is turning trying to think of other ways to use that now. Super cute! I love that the wavy slider track matches the hill. I love the elephant slides along the slope of the hill! Fun slider card. Thanks for the video! Cute card! I love this kit! Fun card to play with. How adorable your elephant is, trotting up and down the hill you've created for him! Ultra sweet! Thank you for the smiles today! the boring straight across the page. Love your elephant tromping up and down the hill. Such a cute card! Kids are going to love the interactive slider! Super cute card - love these jungle animals! 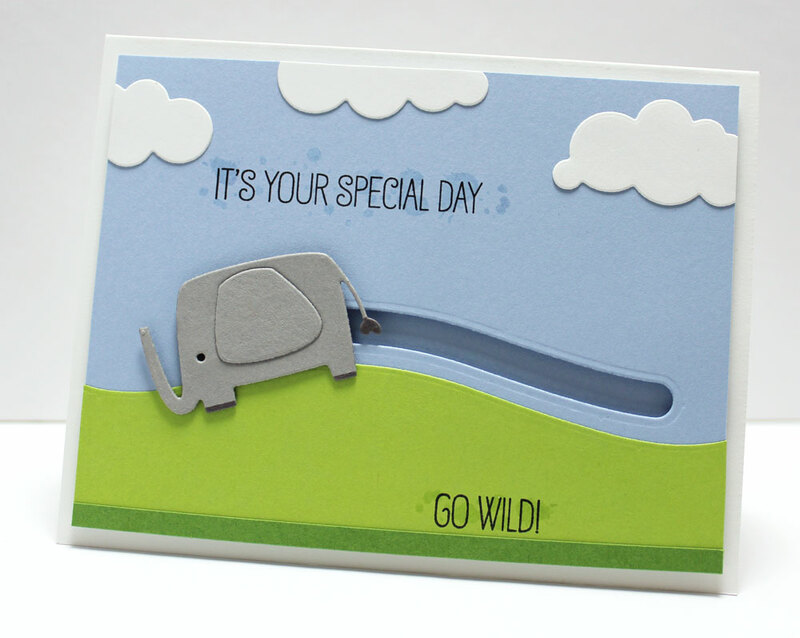 How fun--I like your wild elephant. Delightful slider card! Love the cute elephant! Super cute! Slider cards are so much fun! Such a fun way to make a slider card. Very fun card and great design!